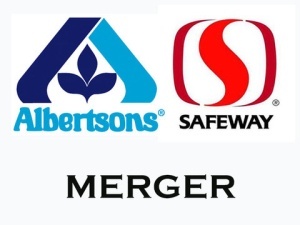 Last week, Safeway – the nation’s number two supermarket chain – announced plans to merge with Albertson’s. Because Albertson’s is controlled by private equity firm Cerebrus, observers speculate that the deal could lead to a significant downsizing at Safeway’s corporate headquarters. Safeway’s HQ is located in Pleasanton, a mid-sized city in northern California. Currently, Safeway employs 2600 people in Pleasanton – making it the city’s number two employer. As Bitvore users learned, the merger is a serious concern for the city’s mayor. He set up a meeting with Cerebrus to see what could be done to soften the impact to the local economy. The Safeway acquisition should also concern holders of Pleasanton Certificates of Participation which are backed by a city appropriation pledge. If Pleasanton’s number two employer departs or significantly retrenches, the city would likely face a significant reduction in revenue. At Bitvore, we define an occurrence like this as a material event to our users of Bitvore for Munis: it is a piece of intelligence that could impact the value of municipal securities. Our concept of an event is much broader than the one the Municipal Securities Rulemaking Board (MSRB) applies. This broader definition gives early insights and situational awareness necessary for our users to have an information advantage. News that a major corporate campus might close does not compel an issuer to post an event filing on EMMA; nothing will show up on the MSRB’s web site unless and until the bonds are directly impacted. This is why it is insufficient to rely on EMMA’s event reporting. You can take your portfolio monitoring to a whole new level by filtering the news events that could affect your holdings down the road. This is the type of intelligence gathering that Bitvore provides.